Hello from California, where my wife and I are on vacation. Got a good one in my inbox today from fellow author Nick Stephenson. The link will explain it all, a must-read for indie authors and anyone interested in the state of books and publishing today (but not tomorrow or yesterday – things change so fast). Latest news – I had hoped to be able to announce the publishing of First Conquest about now, but as it’s a combined project with two other mil-sci-fi-authors, it’s taking longer than anticipated. Let that be a lesson to everyone: add more authors, multiply time. However, it is getting close to done so I expect it to come out in May. It’s a short novel (almost 50K words) set 100 years in the future of the Eden Plague (Plague Wars) books, where humanity conquers its first enemy star system. The other authors, BV Larson and Vaughn Heppner, have also written novellas that tie in to their respective mil-sci-fi series, so you will get three for the price of one. I believe it will be priced at 2.99 but as Larson is the point man on this, he’ll have the final say. Anything under five bucks is a great deal for all of the mil-sci-fi fans out there. I believe the anthology will be titled “Planetary Invasion” or something along those lines. First Conquest will kick off my new Stellar Conquest series. 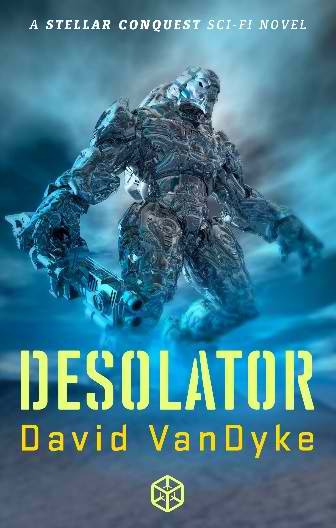 The second book, Desolator, now running about 60K words, is very near done and I intend to publish immediately afterward. Hopefully this cover will come out well on your screen. Some of you probably wonder what happened to book 5 of Plague Wars, Comes The Destroyer. It’s still in the works, but I had to get FC done, then I was mused/inspired/whatever to write Desolator. Now I have to buckle down after this vacation and get ‘er done. CTD will round out the Plague Wars books. A fantasy called In The Service Of The Queen. First person, in the style of Zelzazny’s Amber. It will be quite a bit different from the typical fantasy offering of today, which is a risk. But, I have to write what moves me. I already have this and the second book, titled One Man, One Blade, plotted out. 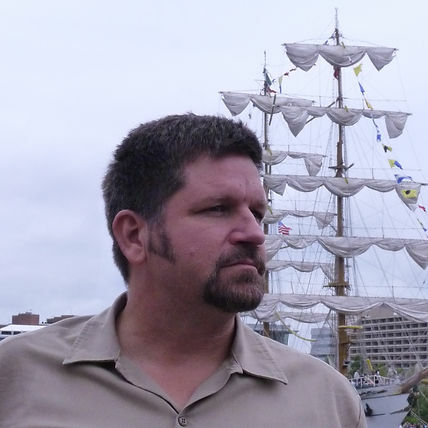 A straight PI suspense thriller in Nick Stephenson’s shared world – it will be billed as a Leopold Blake/Mary Jordan Thriller, probably titled Blackmailed. This will probably come out about when he brings out book 3 of his trilogy, which began with Panic and continues with Departed. A musket-and-planet alternate history book, as yet untitled, which I would rather not reveal the plot and idea for, as I don’t think anyone has even done it quite like this before. A YA space opera about a pair of gifted twins who stow away on a spaceship only to become part of humanity’s first encounter with an alien race. Cheers to all and my next post will probably be announcing the publishing of FC. Thanks for the reblog Dave – enjoy your vacation! I think we’ve fixed the cover image problem. Looking forward to hearing your comments. Not sure about exciting – Giant Sequoias, anyone? Mostly just relaxing with family and friends. Have never seen the Sequoias–very exciting! Enjoy! Wow thanks! That’s a nice setup. You know, when I discovered your site through BlogAds (looking for places to put ads) I immediately said to myself, self: these ladies (and gentlemen if any) look like they are doing it right and I am going to get on board early, and hope and help to generate success for all of us. My wife, who does almost all of the tweeting and social media, has been spreading the word.